It's a holiday tradition at JesterZ that family and friends come together for a night of quick-witted, fast-paced, non-stop, side-splitting comedy! 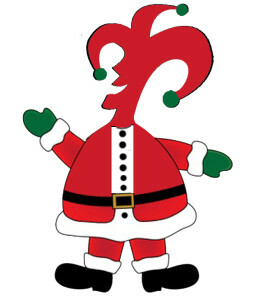 Bring the family to JesterZ for ONE SHOW on Tuesday December 25th at 6:00 pm. It's 2 hours of improvised comedy that will NOT be done any other day of the year! How would you like to see a handful of JesterZ comedians present "A Christmas Carol" ?? YOU provide the suggestions for the characters of the story. (like Taylor Swift as Ghost of Christmas Past and Tiny Tim replaced by Mr. T). Or how about "It's a Wonderful new choice Life" or "How the ______ stole Christmas". This year will be EPIC and will not (nay CAN NOT) be duplicated! No other discounts or coupons accepted at Holiday shows. No Gift Certificates or Free Student admission permitted.